RSPB Scotland has today (14 December) submitted its objection to the proposals to build a golf course on globally important wildlife site at Coul Links in east Sutherland, covered by BirdGuides recently, focusing on the potential damage to the site's rich birdlife. In addition, local wildlife groups have now launched their own objections to the plans, put forward by American multi-millionaire developers Mike Keiser and Todd Warnock. Throughout the year Coul Links is home to many species of birds, and the flooded dunes currently provide a refuge for Eurasian Wigeon and Eurasian Teal which have come to seek shelter over the colder months. In spring the call of Eurasian Curlew, drumming Common Snipe and the songs of Skylarks can be heard over dunes, while a wide range of Red- and Amber-listed species of conservation concern nest among the dunes, including Grasshopper Warbler, Whinchat and Reed Bunting. Yet, all this would be destroyed should the proposals be given the go-ahead. Birdlife would suffer as important wetland habitat would be effectively drained and replaced by golf greens. RSPB Scotland’s objection highlights that plans to translocate or move dune habitat would not be successful, as the habitat that has taken thousands of years to form cannot be artificially recreated. Eurasian Curlew, undisclosed site, Staffordshire (Louie Horleston). Alison Searl, conservation officer at RSPB Scotland, said: “There’s a reason why Coul Links is so heavily protected through national and European designations: it’s an outstanding place for nature and an incredibly rare habitat. It cannot be moved or replicated elsewhere; should these proposals be given the go-ahead, this amazing place would be lost forever and the impact on the birds … would be serious. 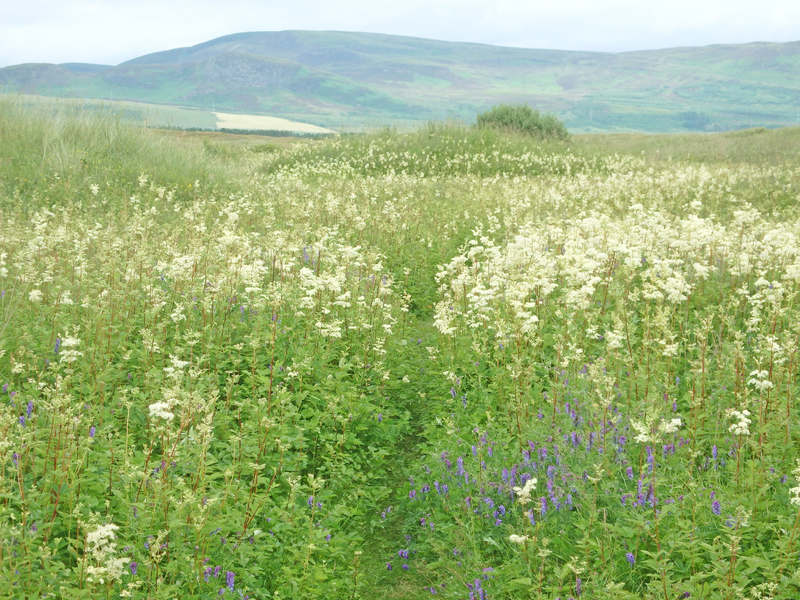 Coul Links erupts into a profusion of wildflowers and insects during the spring and summer (Alison Searl, RSPB Scotland). RSPB Scotland is urging members of the public to add their voice to the campaign to save Coul Links by submitting an objection to Highland Council. This can be done by emailing eplanning@highland.gov.uk with the application reference 17/04601/FUL in the subject line, or follow the instructions on the council’s website to submit a comment objecting to the development via its e-planning portal. The deadline for comments is 22 December.